Would you like to join our “342 Club”? For just £1 a month or £12 a year per number, you can go into our draw – usually twice annually in June and December. Prize money and draw dates will be announced in the Newsletter. 50p of every pound donated is prize money. 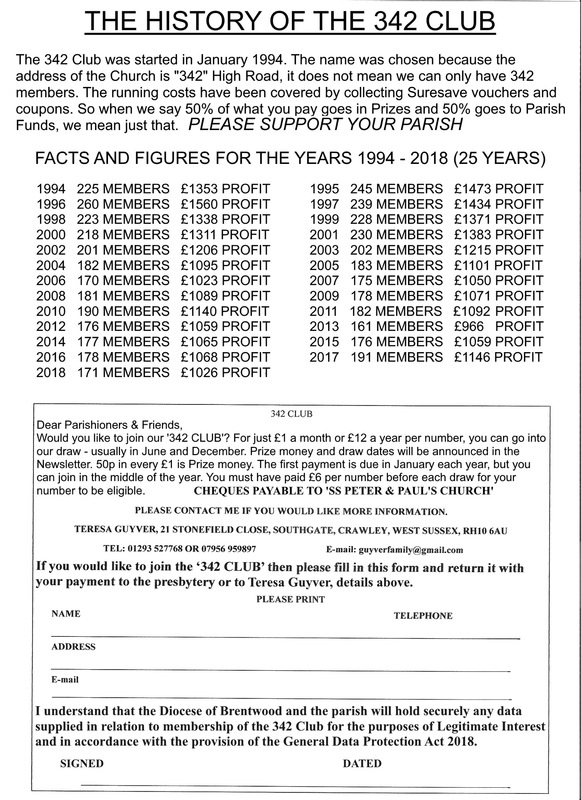 The first payment is due in January each year but you can join in the middle of the year. You must have paid at least £6.00 per number before each draw for your number to be eligible. New members welcome. The next draw will take place on the 31st July 2019.